This website is closed and not updated anymore. Update: Thank you for all the love you've sent us – it made a sad occasion happy to read all of your messages! Even though we can't put any more resources into this project we realized that there was plenty of other people who would like to do that. 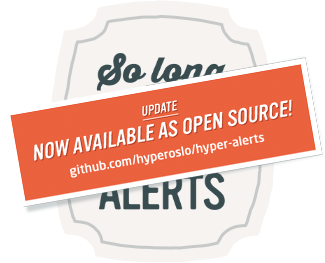 So we're happy to announce that the Hyper Alerts code is now open source! Tell your favorite programmer to head over to github.com/hyperoslo/hyper-alerts and get cracking! Wishing you all a fantastic summer! When we made Hyper Alerts 2, our goal was to make a great service that people would be willing to pay for. The least you should be able to expect from a great service is stability. Unfortunately stability is not something you can take for granted when you're working with Facebook or e-mail. These last months have made us realize that we can't put in the amount of resources that is necessary to make Hyper Alerts great, so we have decided to call it a day. You will continue to get your alerts until July 11th, 2014, but we urge you to find a replacement as soon as possible. There will be no bug fixes or support starting today. We deeply appreciate all of your enthusiasm and suggestions. 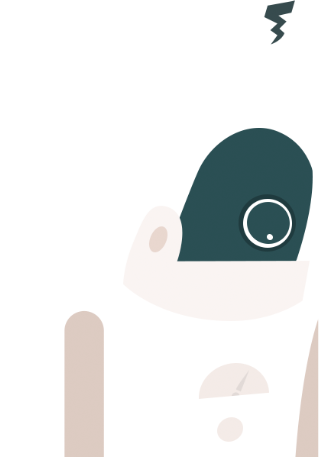 Some of you have been especially helpful with plenty of constructive critique — you know who you are, and we'd like to take this opportunity to thank you for all of your feedback. Skruf Snus finns i Norge men er produsert av Skruf Snus AB. Navnet Skruf kommer fra et lite område i Småland, Sverige. I tillegg til Skruff produserer også selskapet også Knox og Smålands Brukssnus.